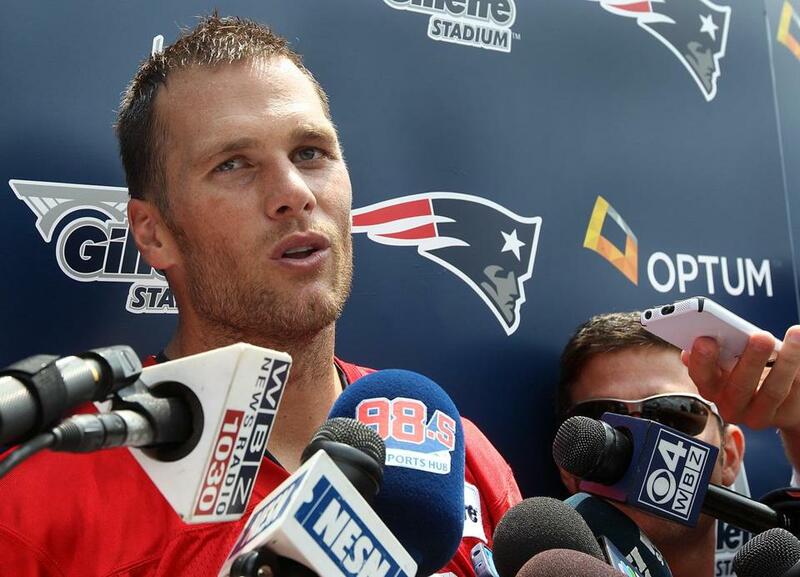 Tom Brady beats allegations and wins season opener, Are the Pats moving on? Four time Super Bowl champion Tom Brady is back in business and doing it with style. Despite months of allegations and court dates, Brady returned to the field Thursday night in hopes of starting off the 2015-2016 NFL season with a bang, and that he did. The New England Patriots hosted the Pittsburgh Steelers Thursday night to open up the NFL season. The Pats got to erect their Super Bowl XLIX Championship banner and start what they hope can be a repeat season. The Patriots easily handled the Steelers, winning 28 to 21. Tom Brady had an outstanding performance, completing 25 of his 32 passes and throwing for 288 yards, four touchdowns and no interceptions. Rob Gronkowski caught three of those four touchdowns and had a total of 94 receiving yards. Although“The Golden Boy” is now back and is leading his team as expected, there are still lingering questions that still need answers. On September 3, U.S. District Judge Richard Berman vacated Roger Goodell’s decision to uphold Tom Brady’s four-game suspension, which left a team and their fans happy while many others were puzzled, including Goodell. Another question that people want answers to is: Why did the judge overturn the suspension? The Pats, who have been in trouble with the NFL before (recording other teams signals, stealing playbook from other teams locker rooms, possibly interfering with other teams headsets) have somehow consistently slithered their way out of a variety of sticky situations. The largest penalty they have received was a monetary fine to Head Coach Bill Belichick and the franchise, a loss of a draft pick, and a slap on the wrist. You could make a very compelling argument saying that the decision made by Judge Berman discredits Roger Goodell in a sense. Think about it this way: if you make an executive decision and then someone comes behind you and says you are wrong, how does that make you look to the people below you? Goodell has suspended a plethora of players, mainly for domestic abuse, substance abuse, or personal conduct, but the case of Deflategate is very special. For Brady to be suspended the same amount of games as a player that used performance enhancing substances is pretty far fetched. The history the league has with the Pats could have been the leading cause for the suspension. But, as they have proven for the last 15 years, when it comes to Bill Belichick and the Patriots, you have to stay on your toes. It is clear that this topic is now a national crisis, right? Let’s focus on the more important things at hand right now, like actual football. The season has started and we are excited to get our Sunday afternoons back. Yes, this topic may come back to haunt Brady if more information is discovered, but for the time being, let’s enjoy what we currently have. Tom is ready to put it behind him if everyone else is too.